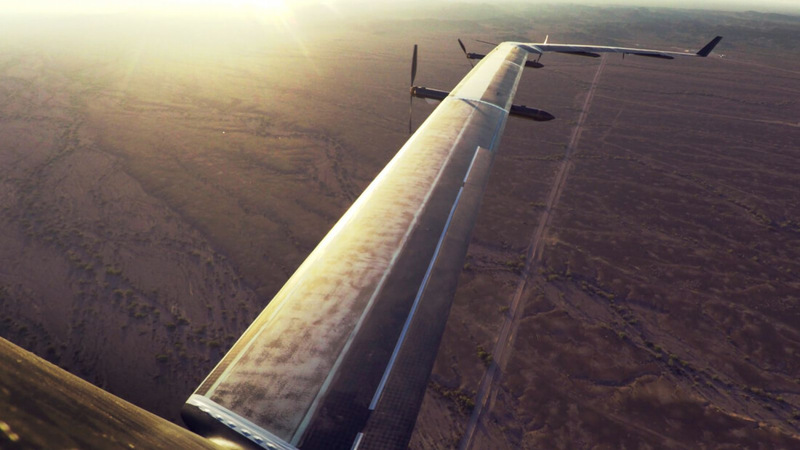 The National Transportation Safety Board (NTSB) has revealed what caused Facebook’s solar-powered Aquila drone to crash land during its first test flight. It seems the “substantial damage” was a result of the autopilot's reaction to unexpected high winds. Back in July, Facebook painted Aquila’s maiden flight as a success. The company only briefly referred to the accident in its engineering blog. “We are still analyzing the results of the extended test, including a structural failure we experienced just before landing. We hope to share more details on this and other structural tests in the future,” it reads. The NTSB’s board requires operators of unmanned aircraft to report any accidents. The organization almost always investigates cases where the drone in question is particularly large, a classification that Aquila, which weighs just under 1000 pounds and has wingspan similar to a Boeing 737, falls under. The NTSB has concluded that wind speeds of around 12 to 18 knots caused an unexpected increase in turbulence as the drone made its final approach. At 20 feet above the ground, a gust of wind pushed Aquila off its flight path. In response, the autopilot dipped the drone’s nose, causing it to speed up, and raised the elevons, a type of aircraft control surface. The combination of high airspeed, up elevon, and low angle of attack resulted in increased downward lift on the outer wing panel, which in turn exceeded the right wing’s structural limit and caused it to fail. Regulations mean that Facebook hasn’t been able to discuss the crash in detail until the NTSB published its report. The company said it would address the problems by incorporating a drag device such a spoiler or airbrake in future designs and will make sure the autopilot prioritizes keeping the airspeed under the limit. “We are already designing and building second-generation aircraft with new features added as a result of our learnings, and are eager to fly again. Each successive test flight will bring both expected and unexpected technical challenges, and will teach us more about how to fly this experimental aircraft,” wrote Yael Maguire, head of Facebook’s Connectivity Lab.